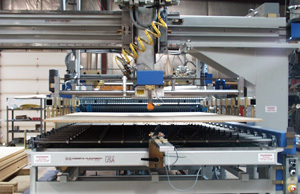 Semi-Automatic Layup Equipment from Creative Automation for Woodworking and Related Industries – Creative Automation, Inc.
Semi-Automatic Layup solutions increase throughput and consistency. 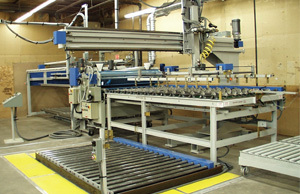 This specific solution lays up for a cold press and features fully automatic core feeding, gluing and stacking. Laminate is hand placed. Semi-Automatic Layup line newly installed. 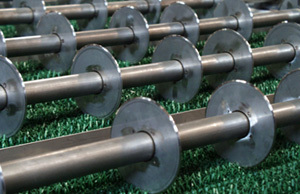 Pusher feeding cores into the gluespreader. 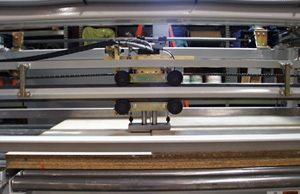 Knife edge conveyor transports glued cores out of the gluespreader.